Tower King II personnel have built and erected some of the largest/heaviest tower structures in North America and specialize in heavy rigging. Ask around, there are few names in the business as respected as Tower King. Originally founded by one of the pioneers in heavy tower construction, Jimmy King, the Tower King name became an icon in the industry. Kevin Barber founded the latest incarnation as Tower King II and maintains Mr. King's legendary reputation for quality and safety. Tower King II, Inc. will work with you to complete your project in a timely and cost effective manor. 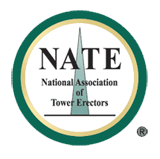 We offer solutions to your most difficult tower erections, guy wire changes and antenna challenges. © 2007 Tower King II, Inc., P.O. Box 185, Cedar Hill, TX 75106 All Rights Reserved.